I want to wish you and all those who work at Carolina Chair a very Happy and Blessed New Year. 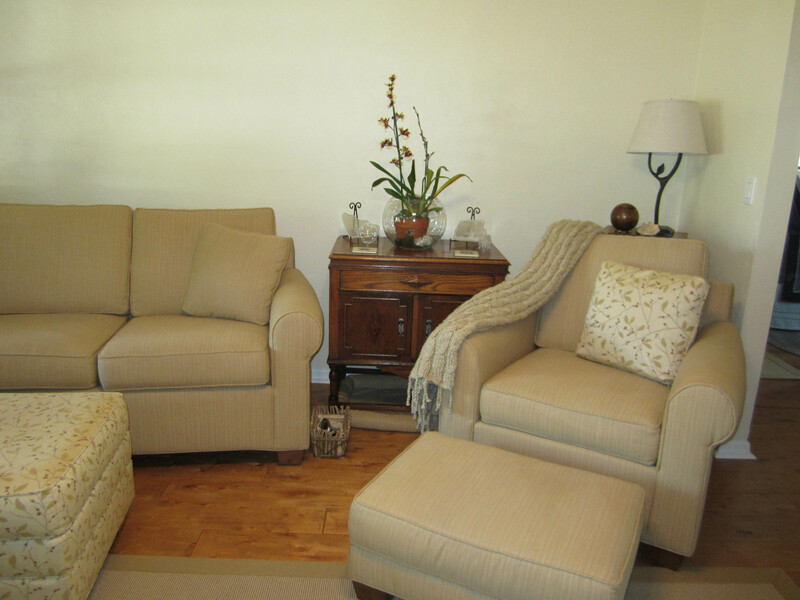 We are so thankful for the wonderful couch and chair we received. The quality, detail and pride of workmanship is so evident in each piece of furniture. I was so grateful to have received them before Christmas! I did think about all of you who worked so hard and as my family was gathered about resting comfortably, snuggled upon couch and chair I realized that you do touch lives in a unique and intimate way. I also want to give a special thanks to Cathy, as you are so available, and committed to customer service, and a pleasure to know. Best wished to all of you! 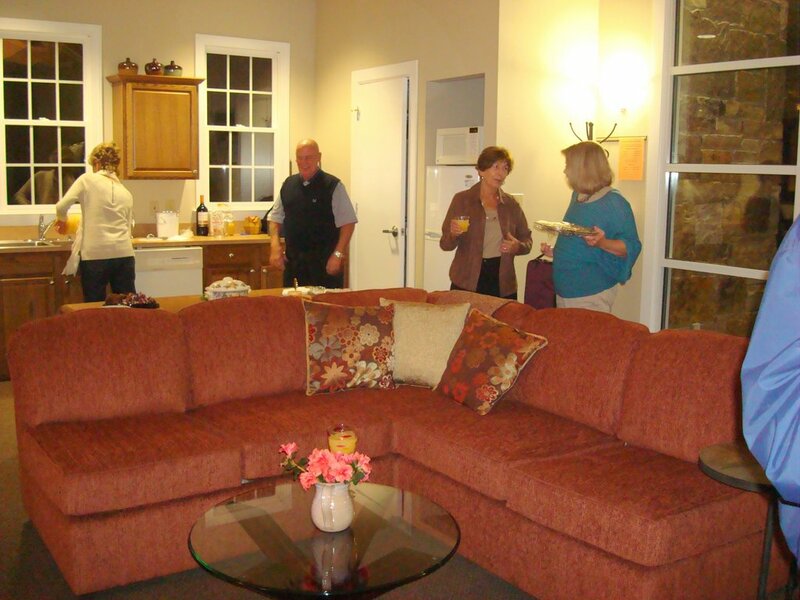 Cathy, we are so very pleased with the furniture! Cathy, they look perfect. Thank you! 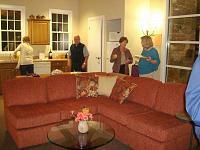 We are surprised at how quickly the project was completed, had expected a few weeks. Thanks again. I have recommended your company to a number of people who have admired our new furniture. 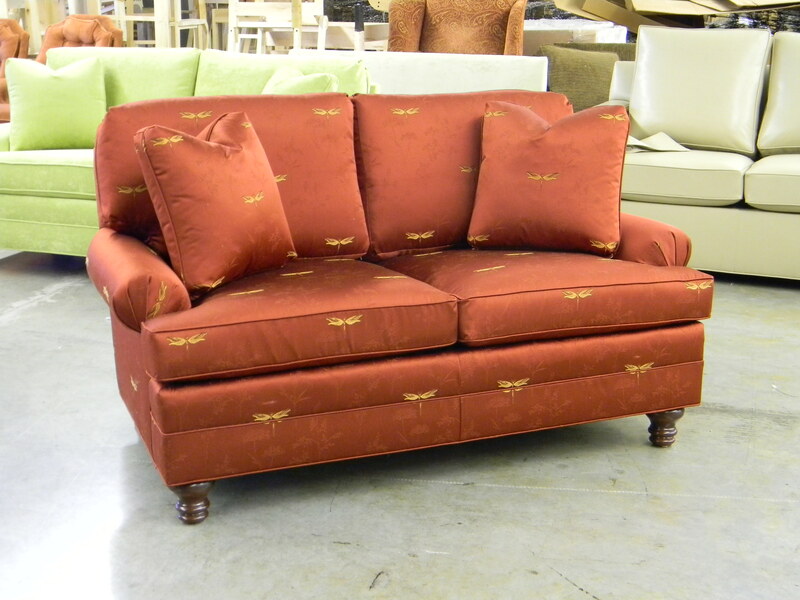 We got the sofa’s – they are lovely and you can see the quality and craftsmanship! Thank you! Hi Cathy, we love our two new pieces from Carolina Chair. The apple green loveseat and chair are perfect for our solarium in an old 1920's cooperative apartment in DC. 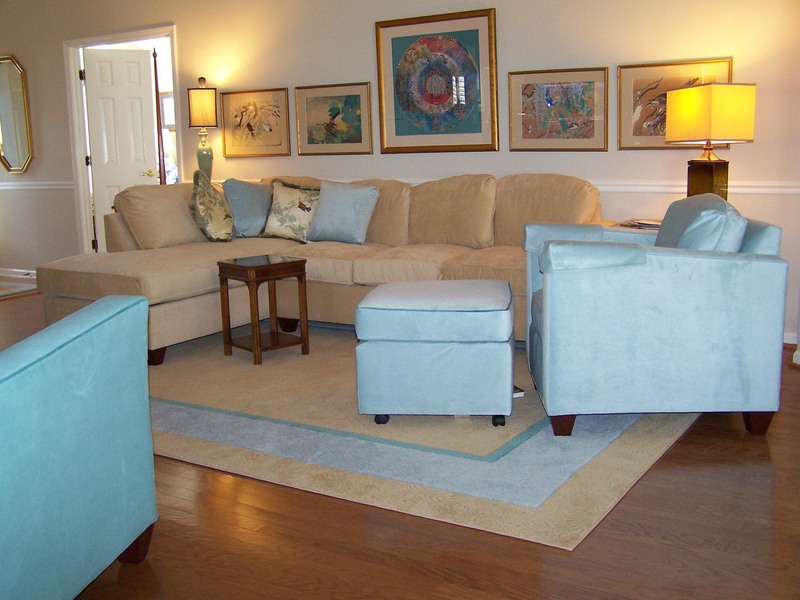 The fabric color gives just the right punch to the room while complementing our neighboring living room furniture. It's so wonderful to know this was made here in the USA. The quality is impressive. It's also so nice to know there are companies that can customize furniture sizes. Both items we purchased had to be scaled down a tad as this room is somewhat narrow. Also, the shipper you used was great. They set up the times well, showed up when they said and the two men who came up with all the items were very nice and professional. I know this is a new outfit you are using and you wanted some feedback on them if we had some to share. 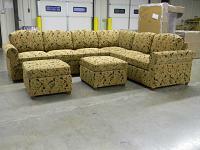 We will surely recommend your company and would use you again if we needed other pieces. The vanity chair has arrived. It is absolutely beautiful! We will recommend you to all whom admire it. Cathy, our sectional arrived earlier today and we absolutely LOVE it. 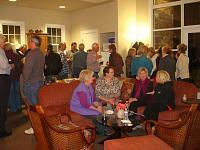 (note: the customer provided some information for us to use for her custom inspiration story in our photo gallery). 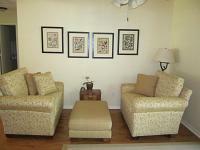 We were looking for a piece of furniture to go in our great room that would be both functional and beautiful. I wanted to be able to do a combination of fabrics and was having a difficult time finding anyone willing to create the furniture I wanted in the fabrics I wanted. 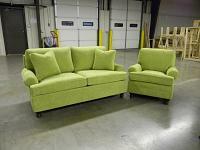 None of the big name furniture manufacturers could customize their products to the extend I desired. Then I had the good fortune of finding CarolinaChair online. Cathy was happy to work with me on every detail. 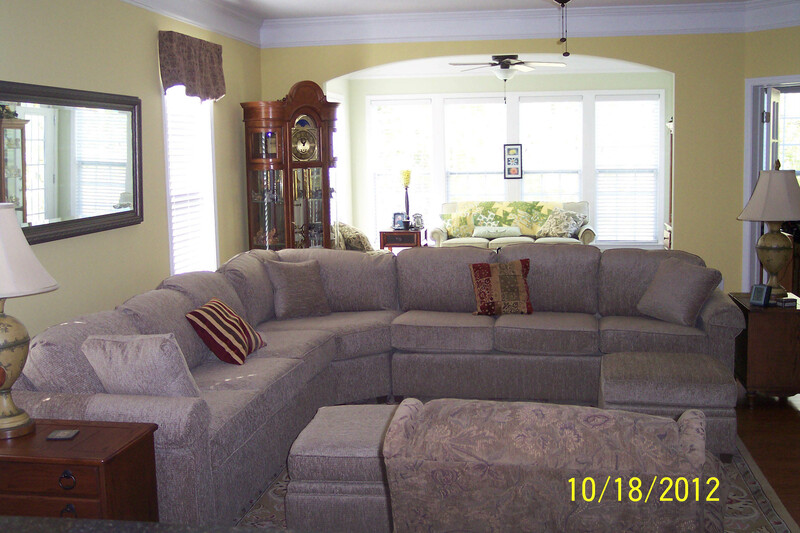 I was able to completely customize the sofa and ottoman with custom fabrics and nail head trim as well as button tufting. We are thrilled with the result. We could not be any happier with our upholstery purchase from Carolina Chair...the Roth sectional is beautiful and all the specifics that we talked about were followed through on so well. We are having an Open House this Friday evening so everyone in the neighborhood can see the finished look...the fabric texture and color is perfect! The delivery service you use was very punctual and followed through on their responsibilities very pleasantly...we actually received it Monday of this week and we were the first delivery of the day, so there was no waiting...they came at exactly the time they told us they would be there.....set it all up and showed us how to work with the connectors. Thank you for such pleasant experience of doing business with you and your company.....I would highly recommend your furniture quality and the great customer service!! Cathy, thanks for the information. By the way, we continue to enjoy the furniture you made for us a several years ago. It’s holding up great. 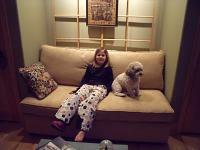 The loveseat arrived on Friday as promised, and it is wonderful! I LOVE it!!! The slip cover is very fitted (a little hard to remove) but just the thing for the cats. It's beautiful as well as tough, so I know the fancy fabric underneath will stay undamaged. 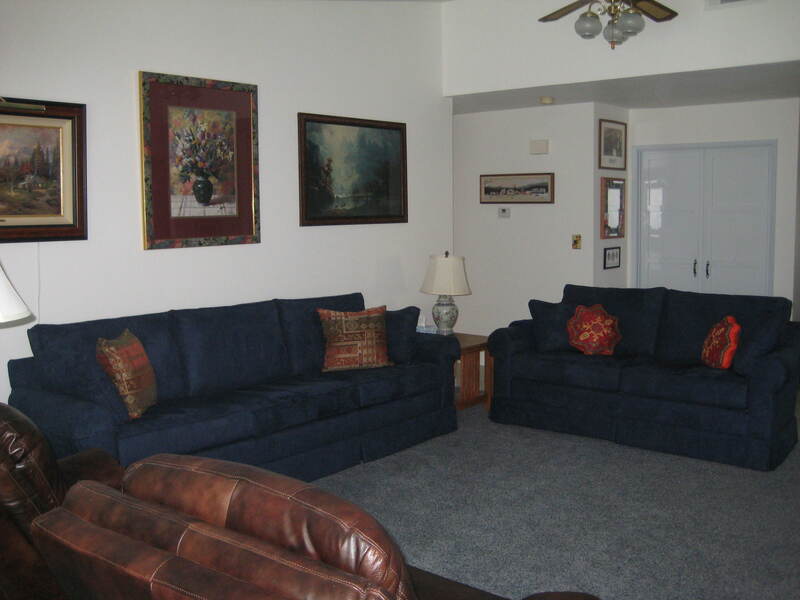 The loveseat fits perfectly in its designated spot, with room to spare. And the low arms are just what I wanted (to hang my feet and head over if I needed to sleep on it). I certainly will recommend your company to all my friends and acquaintances. It's been a pleasure working with you. 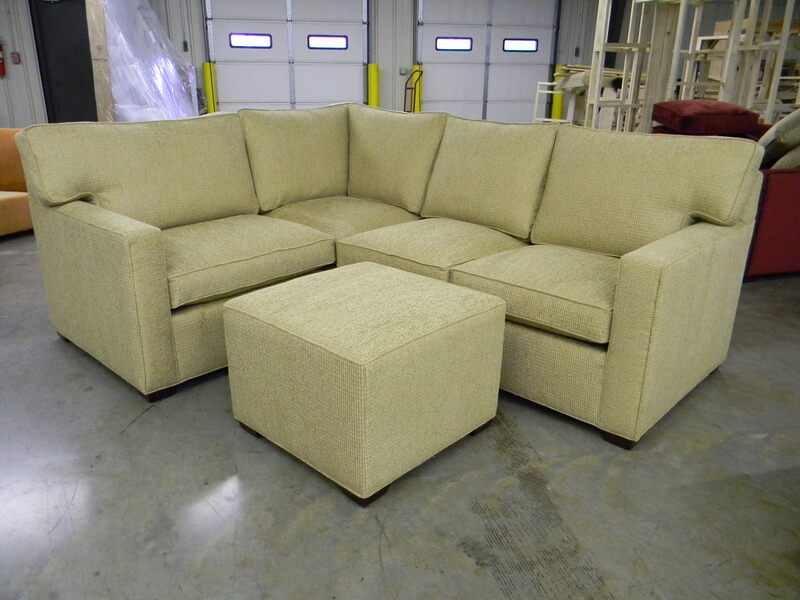 Got the sectional this morning and it looks incredible [see pic]. The delivery folks were great. You should request Tony and Denis all the time. Just to let you know that the mattress arrived and has been in use for the past three nights. Wonderful!! What a huge difference it makes!! WOW!!! It’s finally here and it’s fantastic! Cathy, I wanted to thank you and your brother for your patience and help as I spun around in my decision making and ordering process. 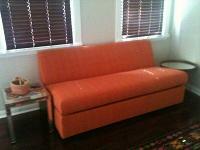 I also wanted to share some photos of the couch in its new home. If you want to share them w/your potential customers, then feel free to pick the ones that work best. As you know, we enclosed our deck to create a small den and powder room and with only 170 square feet (with two big double windows and only one option for the “entertainment center” and my husband’s chair) I was running out of options as I tried to create a space where my husband and I and our two teenage sons could hang out. 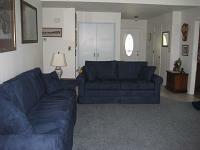 I also needed a space where overnight guests could stay in comfort. 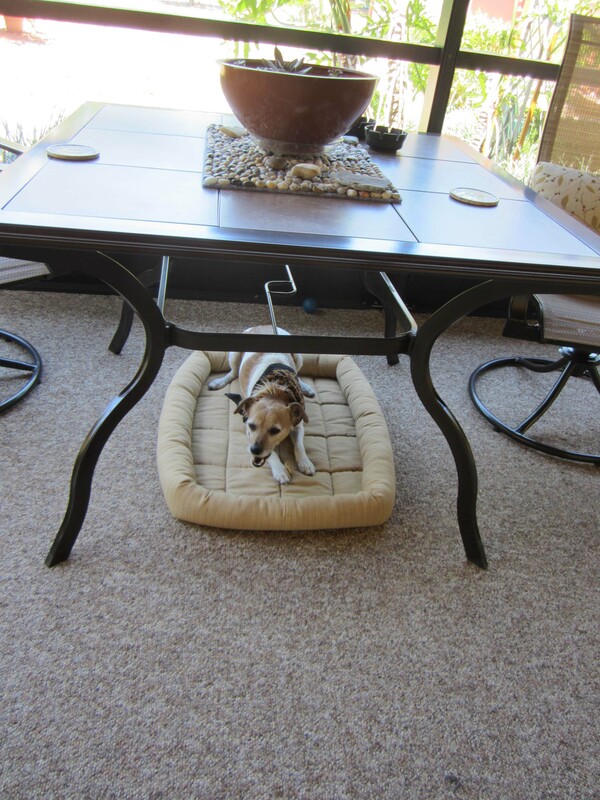 Nothing in the stores worked…two separate pieces were too bulky and/or didn’t provide enough seating. 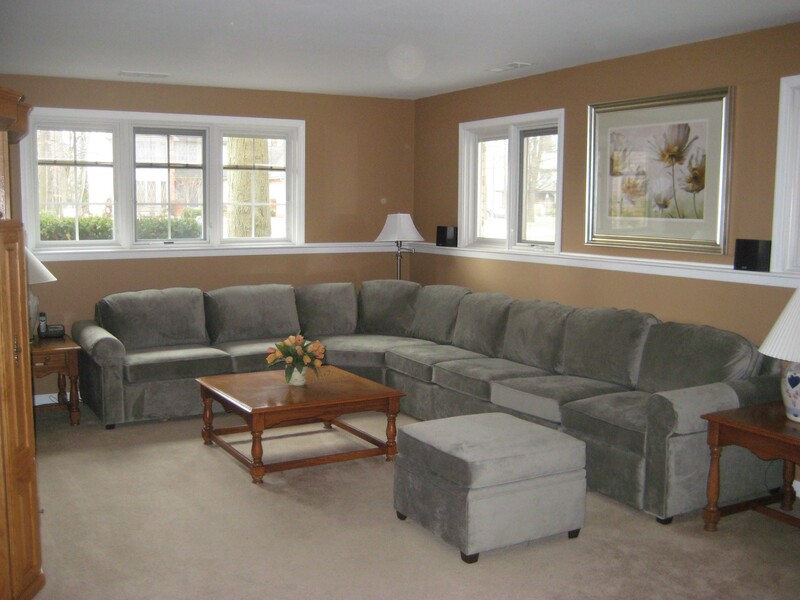 The corner couches I saw were either too small or way too big. I was starting to feel desperate and didn’t know what to do. While buying things on-line is great in some cases, I was uncomfortable even thinking about buying a substantial piece of furniture without ever having seen it, touched it or sat on it. How would I know if the quality was good, or if the cushions would be too mushy or too firm, or if I’d pay and never see the merchandise? Perhaps I was just lucky when I stumbled across your website, but I’m so grateful and 100% satisfied. 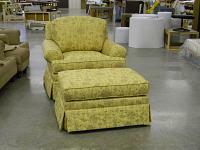 Carolina Chair is like the pot of gold at the end of the rainbow. 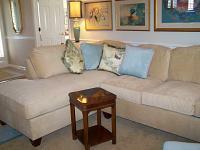 The couch looks sharp, the fabric is so soft and it fits perfectly! Now I’m feeling a bit like little Red Riding Hood because I have to say that both the couch and the air dream sleeper mattress feel “just right!” I know we’ll all be spending MANY happy hours hanging out enjoying our new room… that is, provided our overnight guests don’t decide to become squatters! Thanks very much for your help on this. The Air Dream hand wand arrived this morning just as you promised. I greatly appreciate your help in solving what should have been a very simple problem, but without your help it was going to become quite complicated and time consuming. There should be more companies like yours! 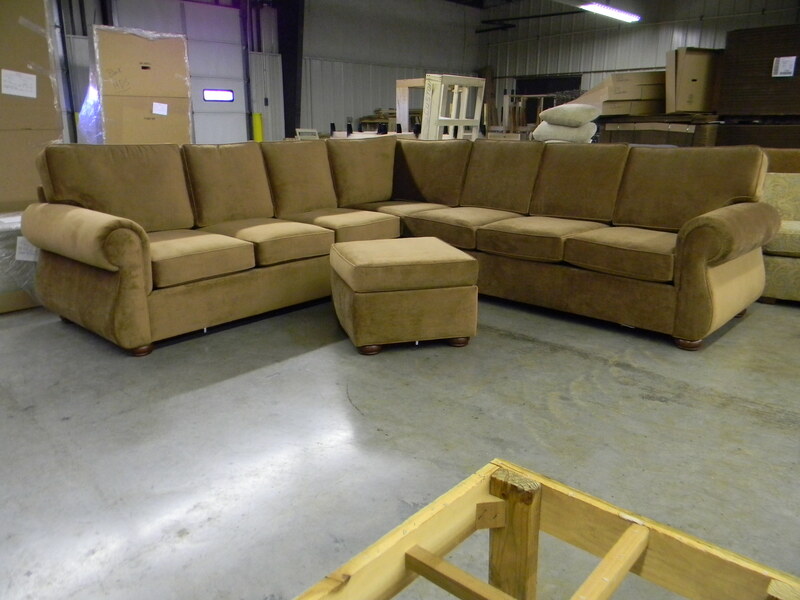 Both couches today arrived and they are absolutely AWESOME. Beautifully made – fine, fine craftsmanship and design. The customized dimensions, and cushions are perfect in every way. Thank you again and again. We will buy every couch from you for the rest of our lives!!! 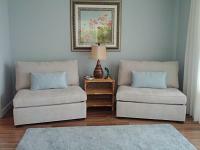 I want to extend a belated thank you for our beautiful furniture. We absolutely love it. Hi Cathy. The sofa was delivered today. It looks great in my house. Just wanted to drop you a note to tell you how happy I am with the sofa. It’s everything that you promised. It was a pleasure working with you from beginning to end. Hi Cathy, I have a swatch I need to return to Barrow Industry, but I don't have their return address. Can you please send it? Hi Cathy! Thank you all, so very much. The sofa showed up Friday evening. The boys were very courteous, neat, and friendly. They did phone at the end of the "window" time to say they would be late. The weather has been playing havoc with us all around here. I will be sending a picture from my phone ASAP. As to why I choose the design: I had been looking for a good quality sofa sleeper that would fit into the limited space available at the condo. Carolina Chair had all the options I could want to customize it exactly. I wanted a tight back, just because I like that look. Single cushion, easier to us a head board for the sleeper part of the sofa. Armless, I cannot stand people that perch on arms of sofas. And it needed to fit under the window, which it does perfectly! Thank you all again. I couldn't be happier. I am already expounding the virtues of your company to anyone who will listen, and will continue to do so! We love, love, love the sofa! Thank you for all of your help. It couldn't be better! We got our sectional on Monday! It is gorgeous! The fabric is perfect for our room and the piece fits exactly as we had hoped. Earl is thrilled with the height of the back, I don't think he has ever had a sofa that was actually high enough for him to sit comfortably. I've already given your name to several people who were impressed! 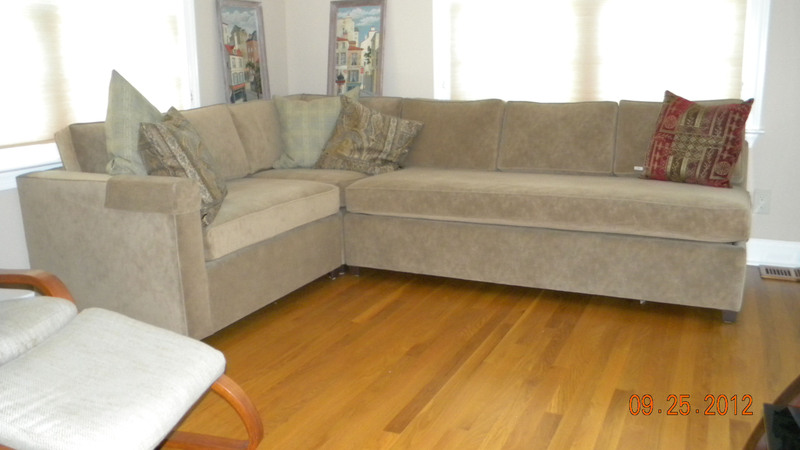 Our Crawford Armless Twin Sleeper Sofa arrived today and it is PERFECT. We are very happy with the workmanship, the fabric and the service you provided for us and within the time frame we requested. I know we will enjoy it for some time. We received our sofa delivery earlier this week and are already enjoying our new seating. The color is beautiful (yeah for Mango Spice!) and the filling is very supportive, just what we needed. It looks like we will have a long and happy relationship with your products. 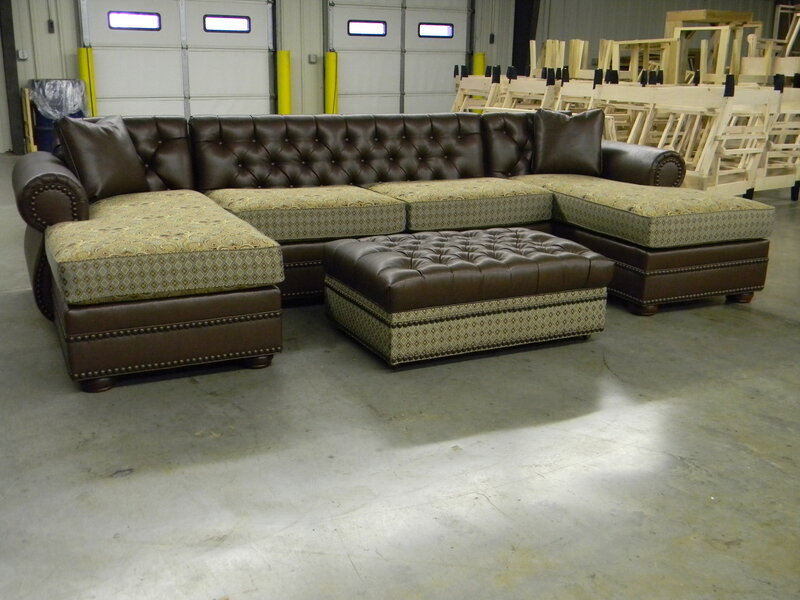 We will certainly recommend you to any who want custom furniture! I just wanted to let you know that I am enjoying the sectional very much! I so appreciate your patience in working with me. As you know we had some ups and downs in our life and the downs always seemed to happen about the time I was about to place my order. 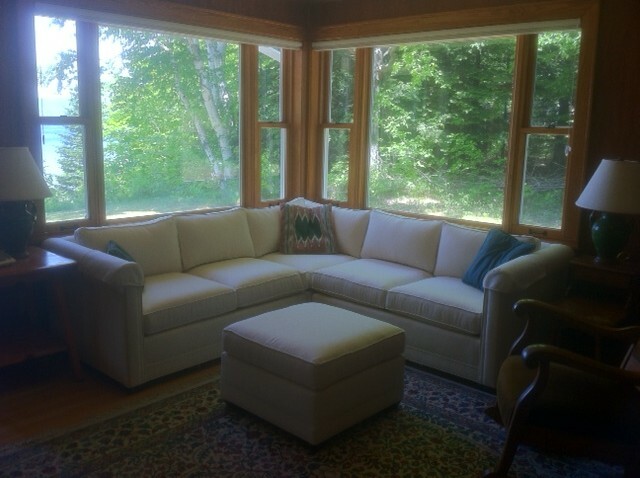 However you guys hung in there with me and now, about 4 years later I have just received our new sectional, custom built to fit our very small home with giant windows and a view that all ready made furniture was built to block. You guys did a great job and we love it. Thank you so very much for all your attention to detail. WOW!!! We are SPEECHLESS!!! Our sofa's are the most BEAUTIFUL pieces's of furniture we have EVER seen!!! The sectional is SPECTACULAR!!! Michael and I weren't your easiest customers, and you completely EXCEEDED our expectations! 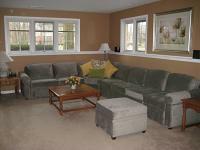 We will send photo's as soon as the house is picture perfect. BIG HUGS from Rumson, New Jersey! You are free to use those pictures and that text on your own site, link to my page, or both. (You can download the larger versions of the pictures by clicking on the images and following the link to the 1280x848 size for each image). The mattress arrived Wednesday and it's just as good as we'd hoped it would be. Our house guests are very pleased with the improvement over the OEM mattress on our sleeper sofa. Thanks again for helping arrange the expedited delivery. We really appreciate it and will definitely keep you in mind for upholstered furniture in the future. We received our chair today and it looks great! I wasn't sure what material I wanted and you were so helpful. We are very pleased with the exceptional quality of work and the customer service that we received. 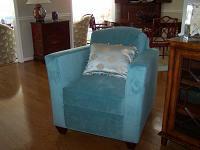 I will be happy to spread the word about Carolina Chair and your quality products!!!!! The chair and a half with ottoman arrived this evening exactly on time! Delivery and set up went very well and quickly. I will say the chair and ottoman are not what I imagined they would be. They are better than I imagined. Next time I buy a chair I will bypass the local stores and go straight to Carolina Chair. Thank you very much for your help with ordering, the quick delivery, and the construction and quality of the product. Thanks also for the picture you sent of the chair before it left your workroom. Wow, the 4thof July 2011 sure seems like a L-O-N-G time ago doesn’t it? That is when my furniture was delivered from Carolina Chair. I know I wrote to you then to tell you how ecstatic we were with the furniture at that time. My apologies for taking a while to get some pictures to you, not a day goes by that I don’t adore my furniture every time I sit on it. I’ve taken several pictures for you, but just wanted to be sure you still want them and if this is the right e-mail to send it to. You can make the decision which pic will work on your website. I’m sending some pictures of the DOG beds to show to the (fantastic) guy that had so much trouble getting those to come together. I would love for him to know how much they are enjoyed – both indoors and out!! We are so happy, and I do tell people about you because I usually get nice compliments when people see the furniture! Thanks Cathy, and all those hard workers that made it all possible. Hope all is well with you these days. 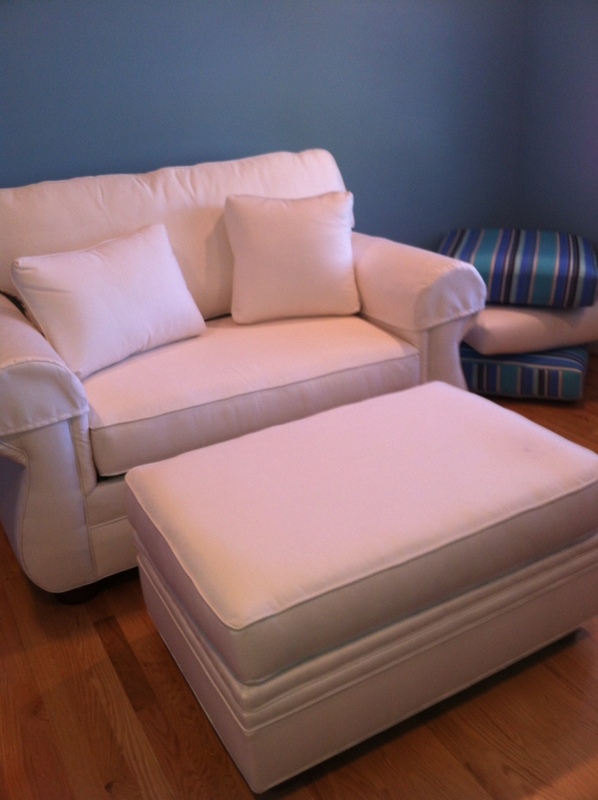 We wanted to let you know the sofa, loveseat, and ottoman arrived Saturday, and we DO love them! 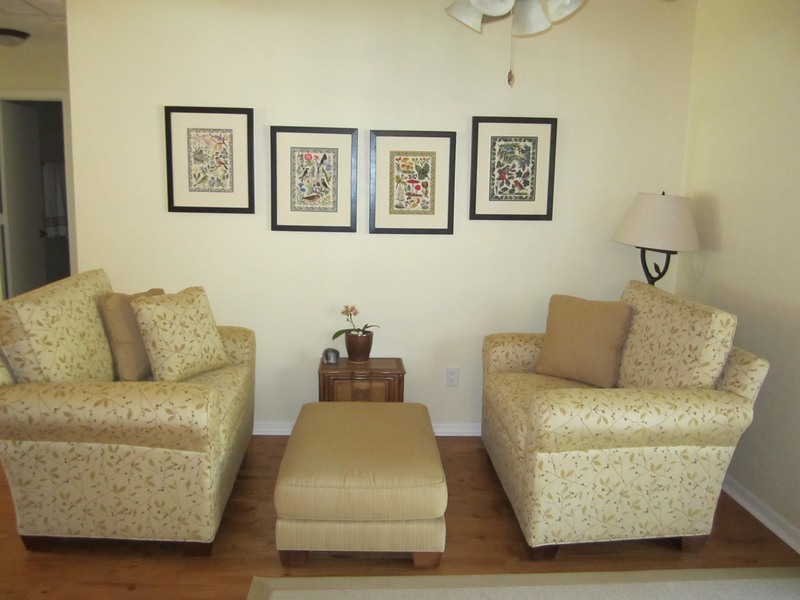 They fit perfectly in our family room, and we truly appreciate the care, quality, and craftsmanship that went into each piece. They are really works of art. We know we will have them for many years of enjoyment.... Chris and Wayne from Home Delivery Services were great as well. They took good care of us and moved everything into place. Thanks to you, your brother, and everyone involved in creating our furniture. You are all wonderful! We are so glad we found you on the web. 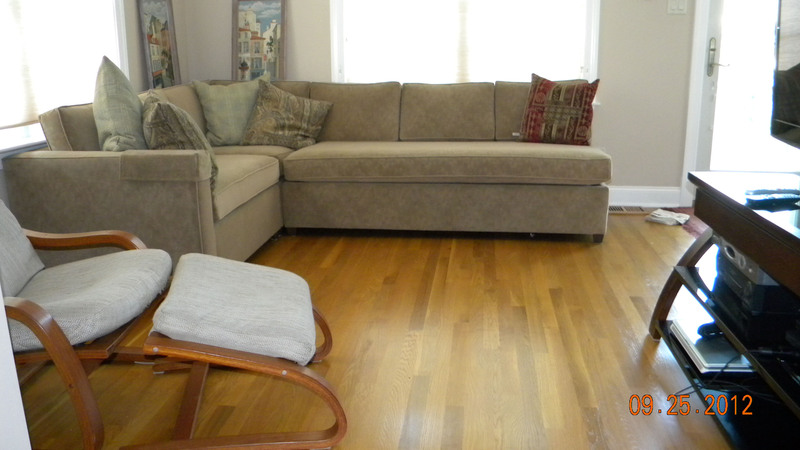 Our Hughes sofa arrived and it is itself a testimonial to the craft of furniture building. 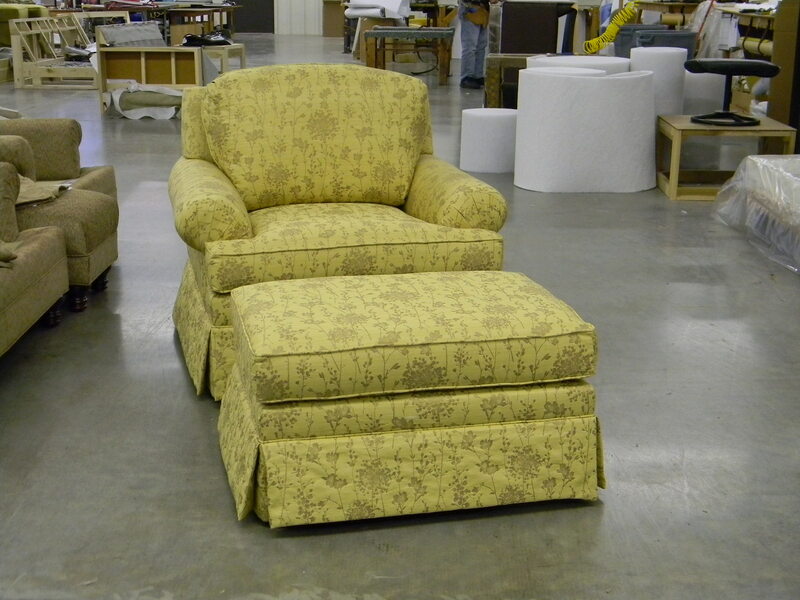 The frame,the support,the stuffing and the upholstery make the Carolina chair product the BMW of quality sofas. Details such as, the matching of the leaf to the stem of the Eucalyptus in the fabric are flawless. With roots in Hickory the Jacumin's and Morganton the Wall and Fleming's I was well aware of the storied past of N.C. as a manufacturer of fine furnishings. Alas! If you go shopping around it is almost impossible to find anything but serviceable products that look good on the outside and skimp on the essentials. Our experience with the pride, honesty and integrity of the Fry's confirms my trust in Tarheel people and their character,industry and capability. Dollar for dollar you cannot duplicate their workmanship and friendly assistance throughout the purchasing process. 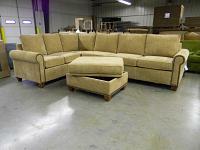 We have been thoroughly enjoying our custom couches from CarolinaChair for the past 3 weeks! We heartily reccommend your company for the quality craftsmanship and beauty of the couches. Thank you also for meeting our specifications to a "T"! 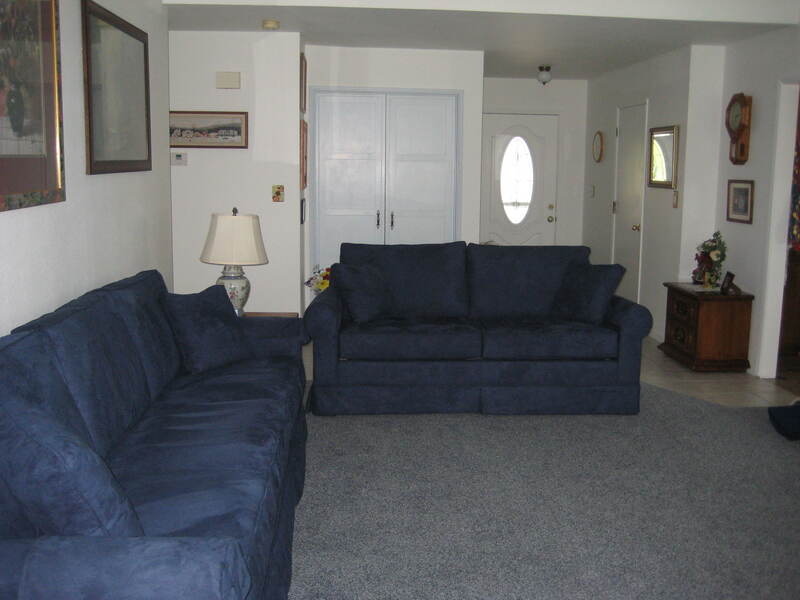 We wanted extra long couches to fit our large living room and to give us each a couch to stretch out on. The stores in our area did not offer anything we wanted and I am so glad we took the "plunge" and looked "on-line" for furniture. You and your company have been a delight to work with and have met all of our expectations! 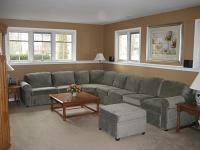 I am sending photos of the couches as they look in our home. Thank you again for providing us with exactly what we ordered and wanted, even exceeding the quality we thought was available!!! Just to let you know we received our new Byron sectional yesterday morning (4/9). The chair finally arrived!! 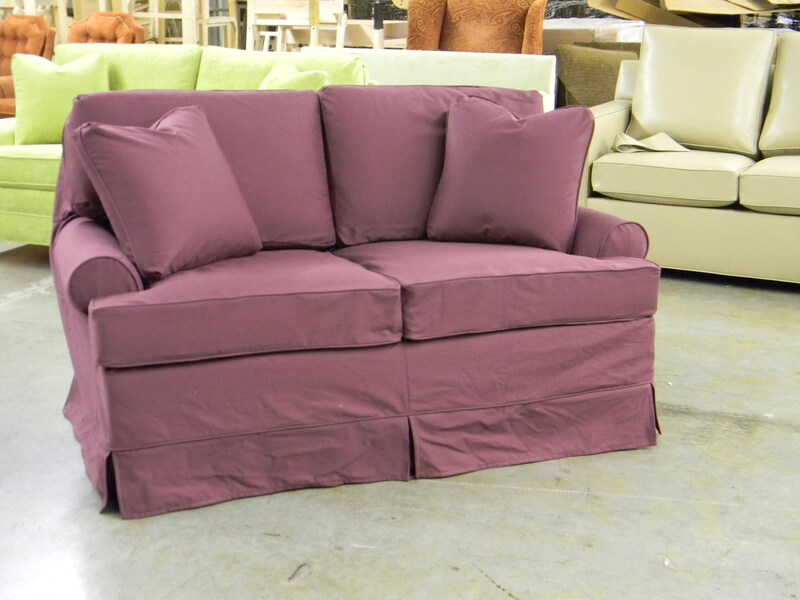 I like the color very much and the firmness of the seat cushion. The delivery went flawlessly and the movers were great! Thanks so much. The Air Dream mattress arrived just in time like you said it would. Thanks so much. Enjoy the holidays. It’s here and is beautiful! So fast. Now we can use the chaise to stretch all the way out (even as an extra bed) or the ottoman as an extra seat by the computer. Thank you again. The furniture just arrived and fits great! The colors work great as well. Thank you again for all your help. Please accept my apologies for this note being 20 days late! 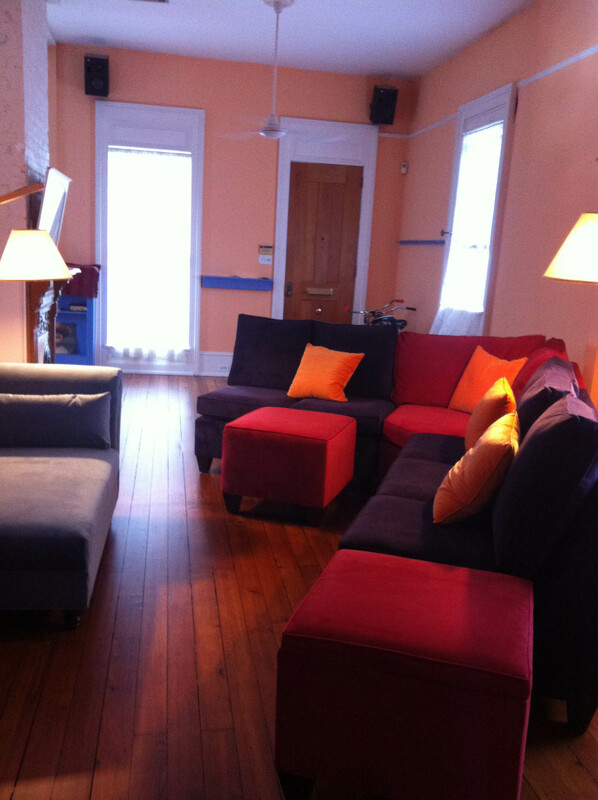 Our fabulous new furniture was delivered quickly, professionally, and without damage on March 8 (a day earlier than expected). The Home Delivery Service guys were friendly, accommodating, and very efficient. I was concerned when I found out that the legs weren’t removable, but with very little manipulation, the furniture fit beautifully through the doorway of our small room. I can’t thank you enough for making our furniture wishes come true! It looks great, feels great, sits great, and fits great! We love it and everyone at Carolina Chair needs to be commended for the excellent product manufactured and the customer service provided. Not to worry – I intend to spread the word about you whenever I can! 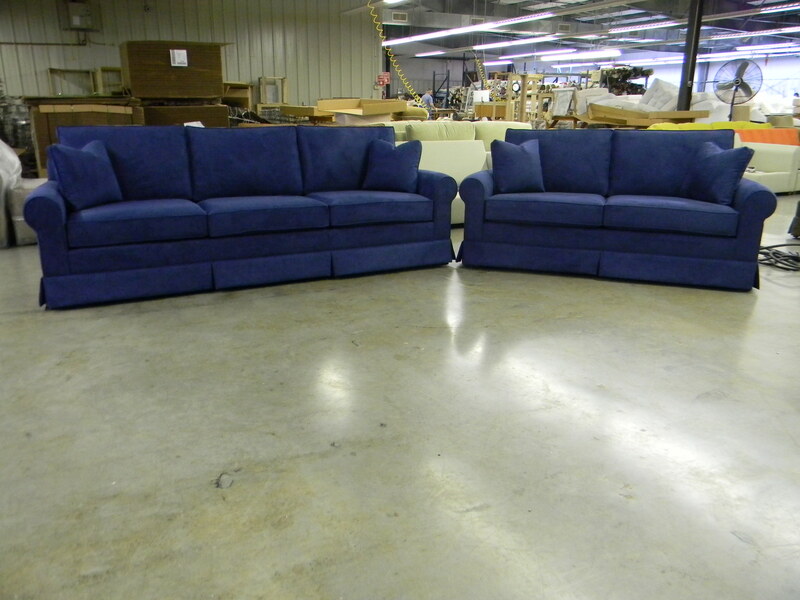 The couches look absolutely beautiful! I am surprised they were made so quickly, but thank you for the rush on them!!! 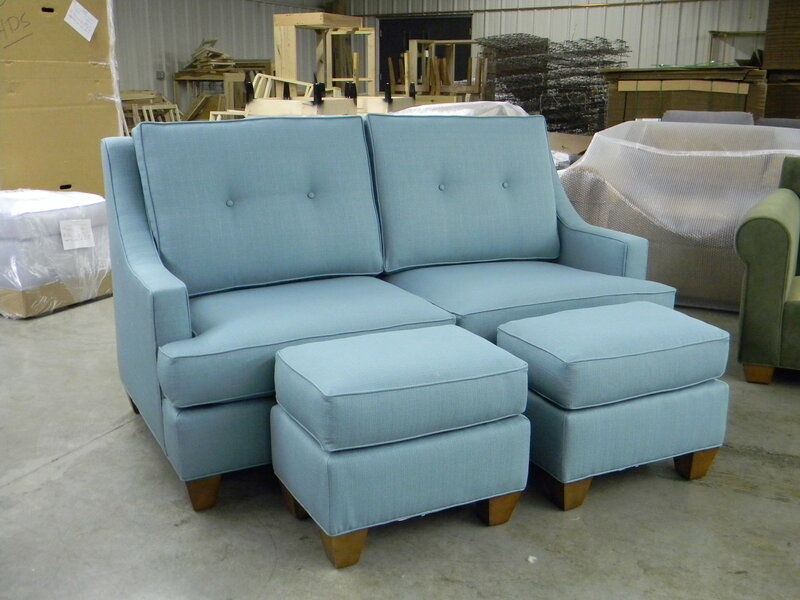 Anyway, the "story" about our ordering couches is a simple one....we were unable to find the size, shape, design and fabric we wanted locally, so, after a few years of being dissatisfied with our couches, we got smart and went "on-line"!!! 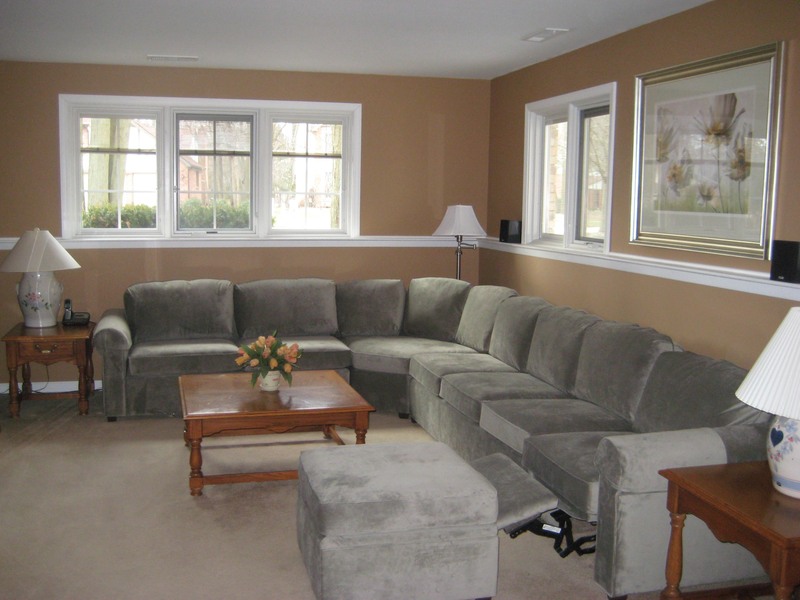 We were prompted to hurry up finding a solution as we are re-doing our ceilings and got rid of our couches immediately. Then we realized we needed replacements ASAP with company coming soon! 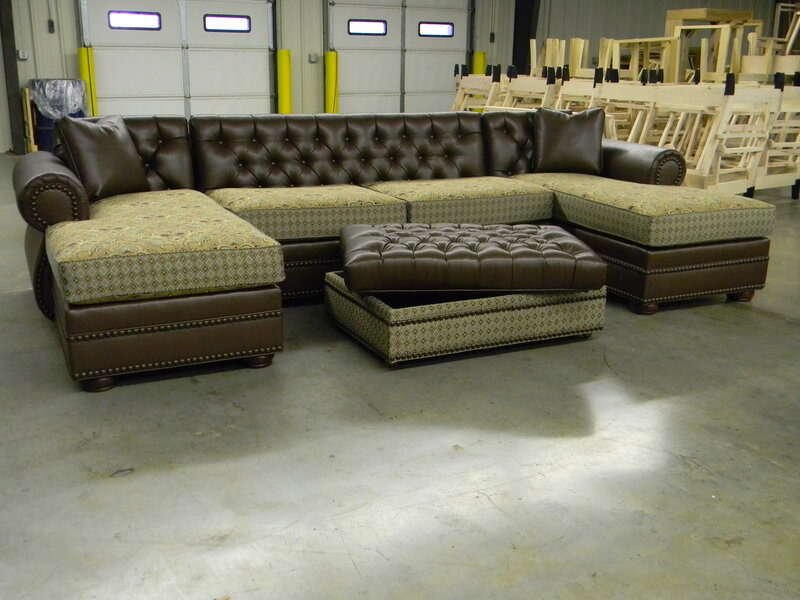 We found your site almost immediately and were elated to be able to custom order the longer length couch and love seat and to be able to combine features from two different collections. My husband really wanted a long couch to stretch out on and I wanted firmer, more formal looking back cushions for the couches. Your company was so easy to deal with and SO QUICK to accommodate our rush order. Thank you also for being willing to communicate both by phone and e-mail. I really like the personal touch of verbal, not just written, communication! Here is why I chose CarolinaChair: My husband has Parkinsons disease, and one of the symptoms is extreme difficulty in getting out of chairs. 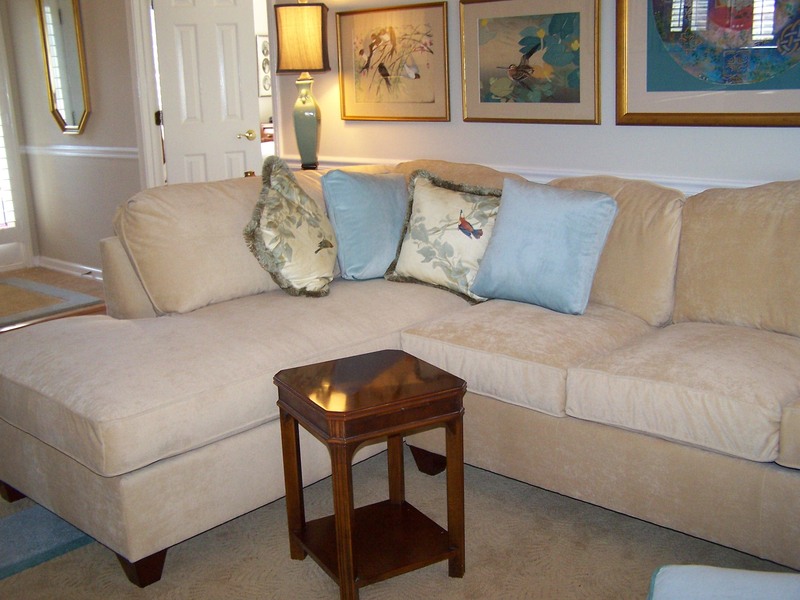 After an exhaustive search to find comfortable furniture that had higher seats and arms, and arms that were firm (to assist my husband) I gave up visiting furniture stores. By luck or chance I “Googled” “high arms and seats comfortable furniture” and up came CarolinaChair. I was lured by the furniture being "made in America", intrigued by their quality handcrafting, thrilled to be able to customize both the size and style, and my husband was thrilled that they were made in his home state of North Carolina. Every time I had a question or a suggestion.....Cathy Fry was right there helping me wade through the decisions. Thank you. Here are photos of our furntiure in place. We could not be happier with our new pieces! 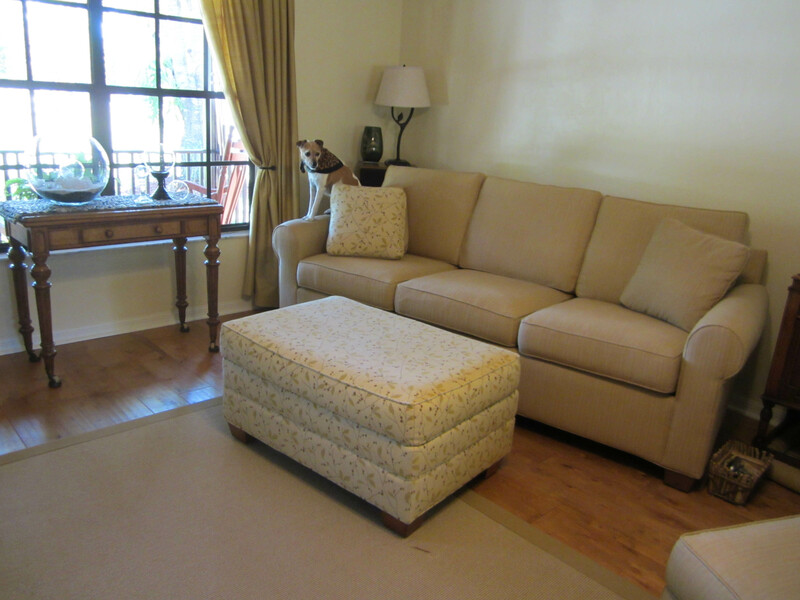 The Crawford armless turned out to indeed be just right for our den/guest room. My friend arrived about 4 days later and slept on it every night for a week. Even though the mattress is very comfortable on its own, we did purchase one of those memory foam toppers. Since the Air Dream is not available on the single size sleepers, we decided to make it as comfortable as possible. Thank you again for your excellent customer service, your wonderful delivery service and most of all - manufacturing such a quality product. I would highly recommend Carolina Chair to everyone! It's Mary from Idaho. 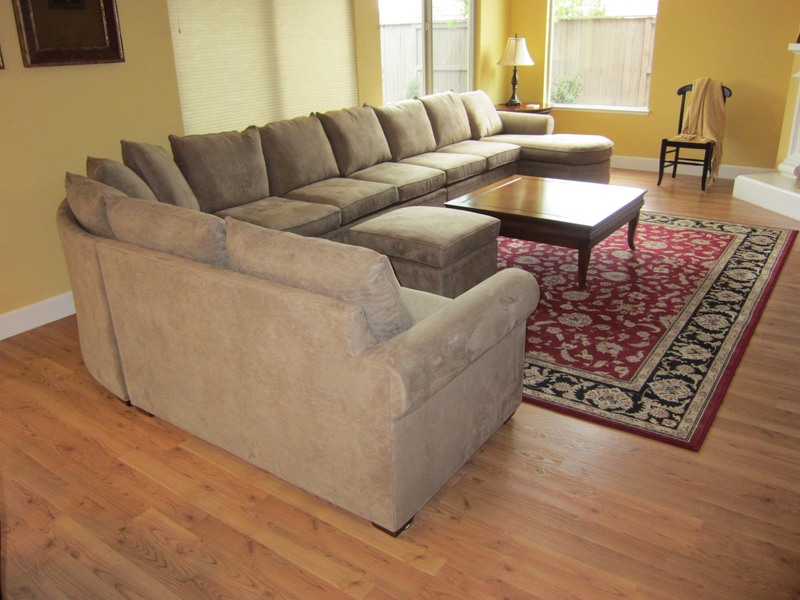 My sofa and loveseat arrived on Tuesday and it is beautiful. The shipping company did a great job. Thanks so much! 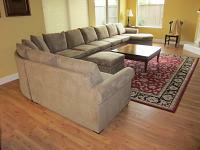 Our furniture was delivered last Friday without any problems and is now in our family room. 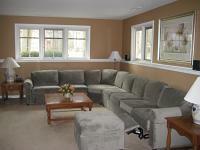 We are very happy with it and as you can see in the attached photos, fits our family room nicely. 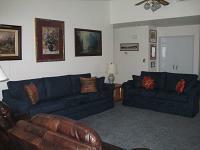 We were looking to replace the old sectional we had with a new one which we could customize to our needs. We wanted the furniture to be made here in the U.S. After searching the internet and looking at several companys, we came upon yours. In going through your website, we were impressed with the large selection and the way in which it was presented. We were able to have most of our questions answered on the website and those which we couldn't, were able to talk to you directly and get them answered quickly. It was a pleasure working with you and not a typical salesman. You seemed to want to please us and not just sell furniture. Finally, your website showed how your furniture was built from the floor up. That craftmanship really helped sell us on your company. We were somewhat apprehensive purchasing furniture over the internet. You have to rely on pictures and testamonials from other people or travel to the factory. You can't just go to a store and sit/lie down on the furniture to test its comfort. However, after receiving the furniture, we are totally satisfied with both the comfort and beauty. Thank you and I arrived home yesterday pleased to find my air mattress was waiting for me. It's not a temporary or leisure bed for me, it's my bed every weekend, so very nice to find it in time! 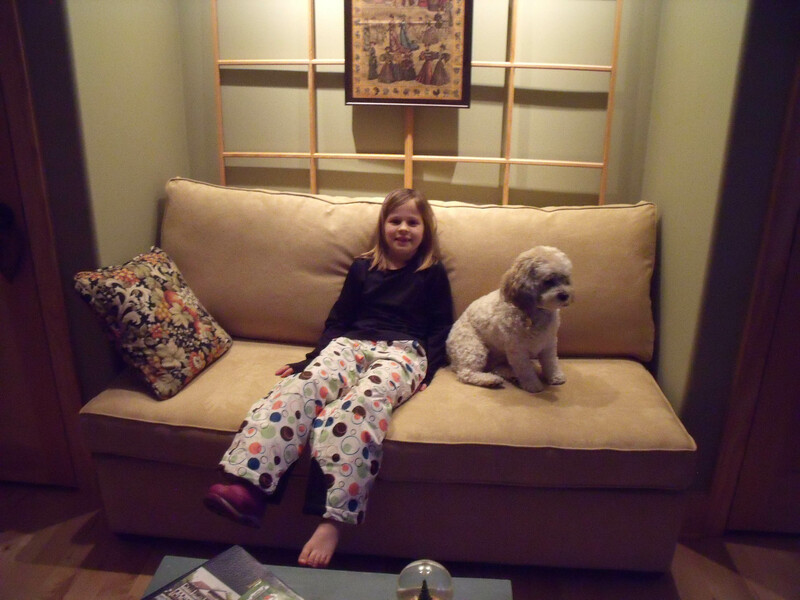 We got our sofa today, and I am so thrilled! 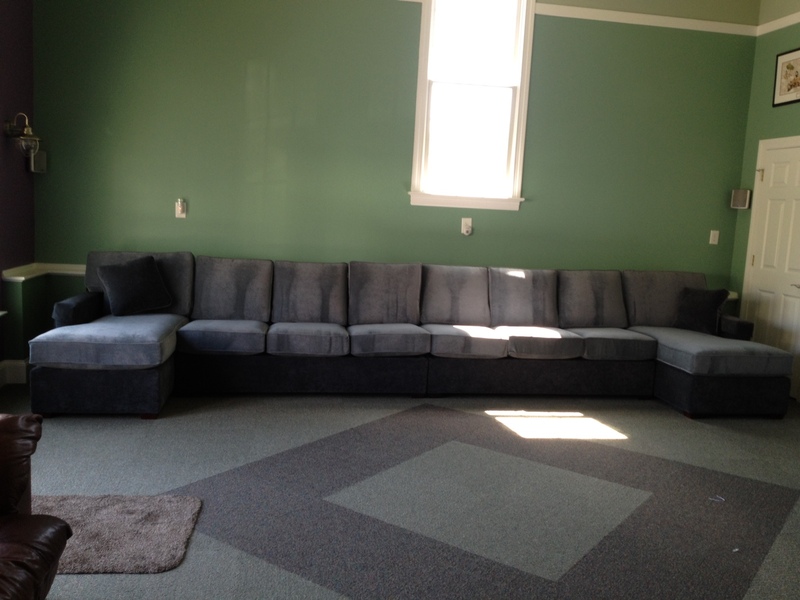 It looks great, fits well in our space, and is very comfortable. Thanks to you and Dee and your team. I am looking forward to working on the storage ottoman as well. I am hosting a party at our house the first week in April, so I am hoping that you all would be able to do it by then. Let me know when you get the quote, and I'll confirm it with my husband. 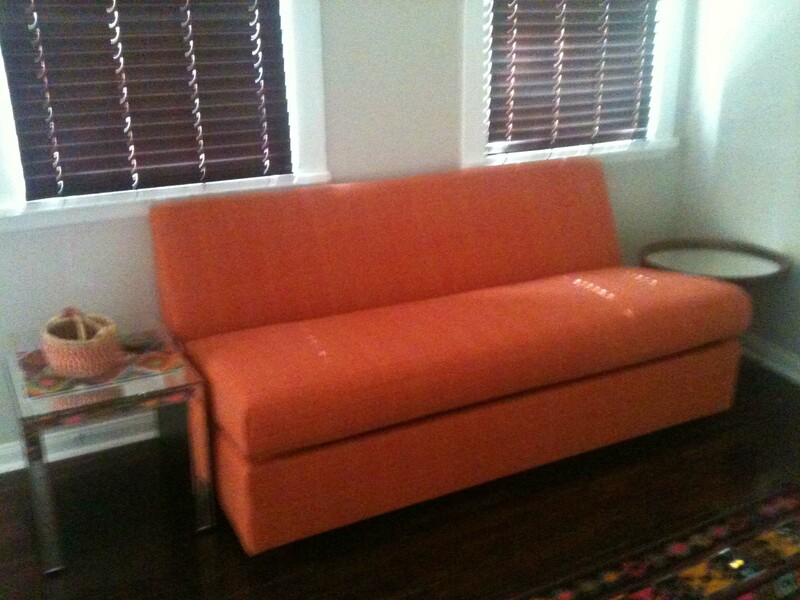 Cathy, the sleeper-sofa arrived at our AZ home just hours before I had to fly home to WA state, and it is BEAUTIFUL! I only wish I had a chance to try out the air mattress . I told a few friends in AZ about CarolinaChair.com and will do the same at our bridge group on Friday night here in WA. 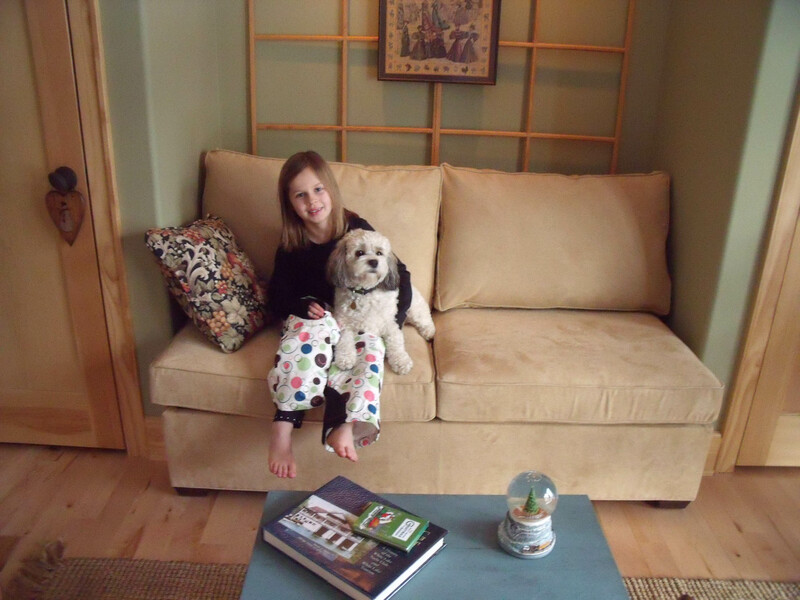 Our daughter, Katie, ordered a chair and ottoman from you (delivered in NYC several years ago) and she is still delighted with it. She is now working in Portland, OR, and is a member a women's lawyer email group. I suggested that she do a posting about Carolina Chair on that website ... she thought it was a great idea. Some of our friends in AZ are Canadian and they wondered if you are able to do deliveries in Canada? Anyway, I want to thank you and also mention how wonderful your customer service is! We will continue to spread the word. Wow, here it is Feb. already. What a crazy several months it's been. We are loving our sectional! 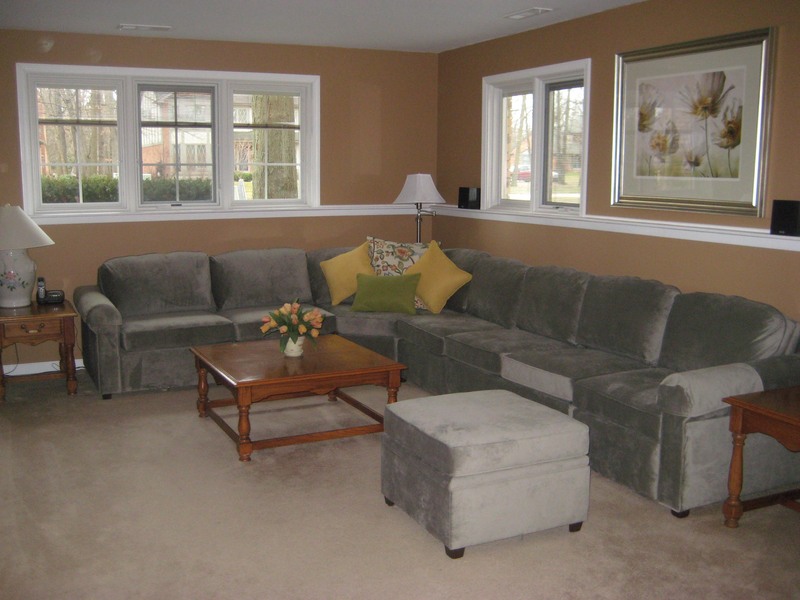 The craftsmanship is outstanding, and we're very happy with the material and colors we choose. I'd like to check into having another ottoman made, but not a storage one, same measurements, etc. Can you give me an estimate please? Call me if necessary. Thanks much! Cathy, I arrived back in DC after the holidays and found the lovely ottomans.....which do just what I want them to do for my space. After many months of shopping for our new sectional we found Carolina Chair. We can't speak highly enough of Cathy Fry and the assistance (and patience!) she offered us as we worked through the process of choosing fabric, size and design. 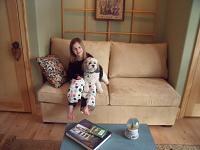 We ended up with a special order fabric and custom size to meet the space of our room. While we were somewhat anxious about ordering such a major piece of furniture online, Cathy was with us every step of the way. With both us having knee problems, we chose 4" feet and upgraded to 5" cushions for a unit a bit higher off the floor. 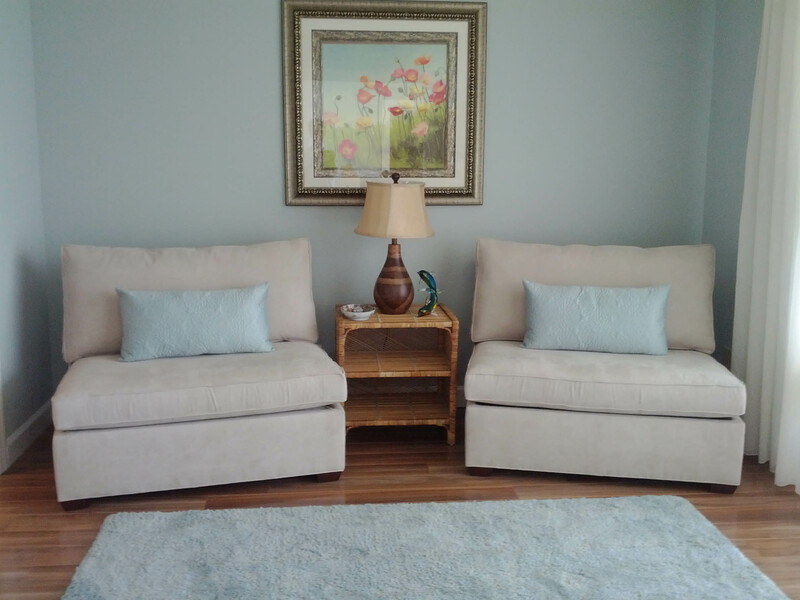 We also customized the size of the storage ottoman and put it on casters to match the nail heads on the sectional's arms and around the ottoman at the bottom. The customer service was just outstanding and the final result is more than we ever hoped for! Thank you, Cathy, and everyone at Carolina Chair! We will be back to order again! Cathy, my furniture arrived this afternoon! 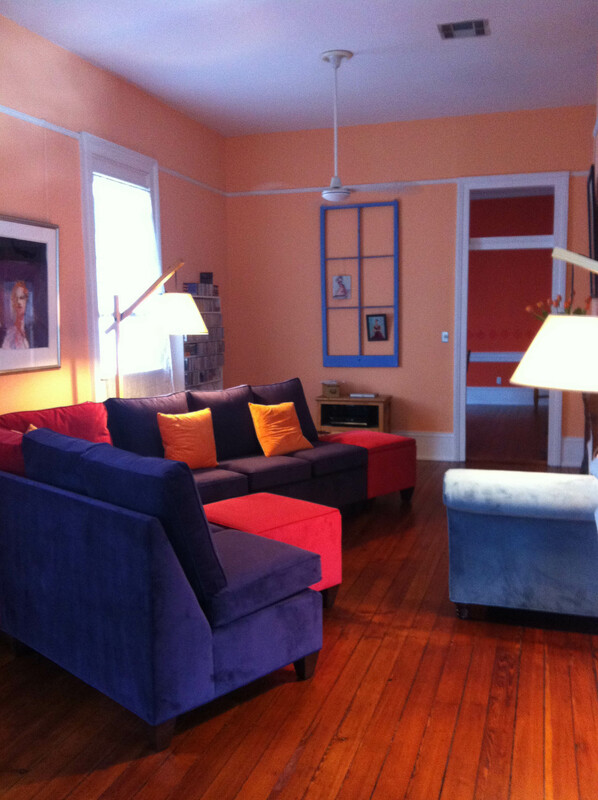 Here are some first pictures-- I wanted to give you a sense of scale-- why I wanted taller furniture with 12-foot ceilings. Everything is beautiful! Happy New Year! The holidays have kept me pretty busy lately, but I just wanted to take a moment to let you know that I'm very pleased with my sofa! It's very comfortable, well made, and looks sharp. Delivery was easier then I expected too. I'll definitely be recommending your company to my friends and looking you up again when I need more pieces. My chair is beautiful! Thank you so much! The chair arrived and looks beautiful. Our beautiful couch arrived just before Christmas as promised. I was surprised it arrived on time and thrilled that we no longer have to use a blow up mattress for our grandkids' holiday visit!! From our first communication, I realized both you and your brother had your heart and soul in this family run...yes, made in the USA...business. 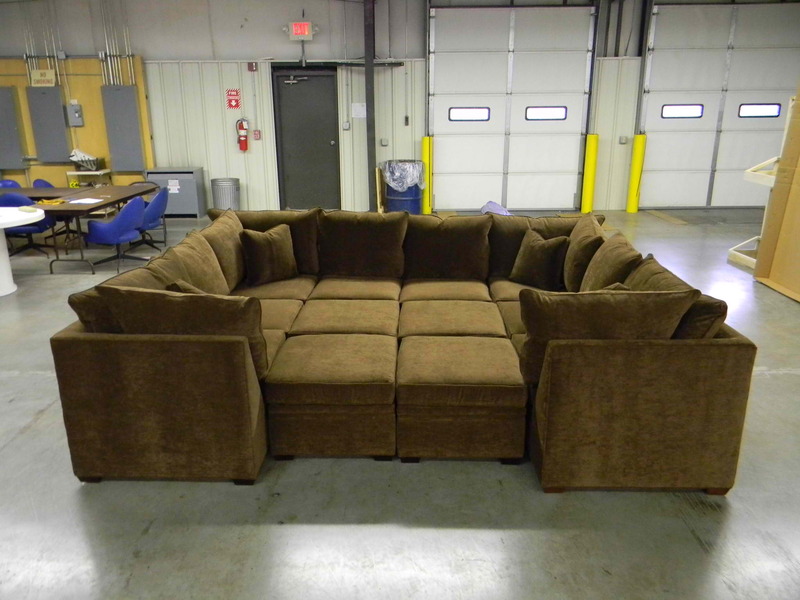 We have a restricted space to put this couch and my concerns about the accuracy of your measurements were put to rest the longer I spoke with you...a half of an inch longer it would not have fit. Delivery day came, the movers you chose were prompt, courteous and used clean white gloves when handling the unit. While they maneuvered it into the designated spot, we all held our breaths as they slipped it in place...it fit perfectly! The fabric and color matched the sample you had sent and prior to shipping, you e-mailed a photo of it taken at the packaging warehouse...that's customer service!! You treated us like family...we definitely recommend CarolinaChair as a old fashioned, detailed oriented, customer focused business.